open again from January 15th 2019! 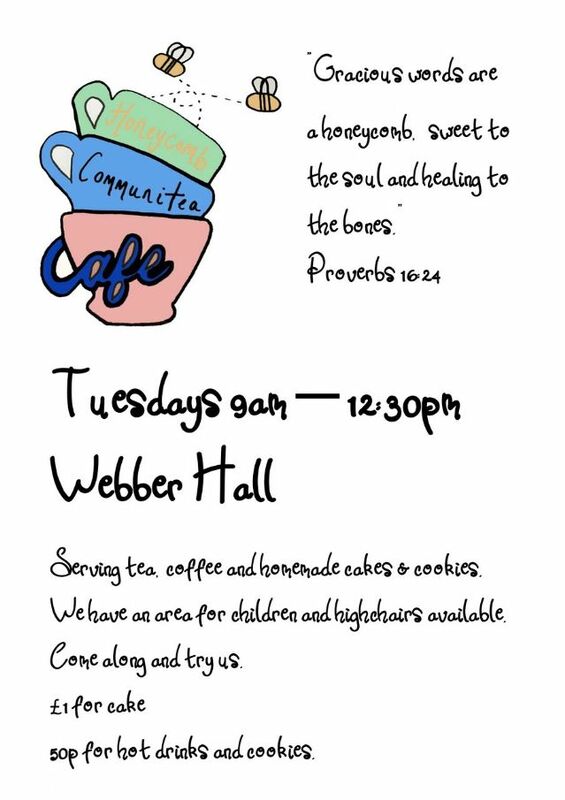 Please join us for coffee/tea and cake in the Webber Hall Tuesdays, 9am-12:30pm. This is a great place to meet new people, to have a chat, to hang out and to have a cuppa and a slice of (home made) cake. Highchairs for young children are provided. We look forward to seeing you there! Our brand new Community Café is now open! for tea, coffee, cake, biscuits and great company! To read about the story behind our cafe, please click here.